We've heard it time and time again; voice search will be the next frontier as we continuously strive to make internet users lazier and lazier. Voice searches are starting to gain traction as companies like Amazon and Google continue to refine their product offerings. These companies are slowly gathering data on this new form of engagement, and it won't be long before it starts leasing this data to businesses for a pretty penny. If businesses do not take note of where these two tech giants are spending their development dollars you can be sure you're going to regret it. 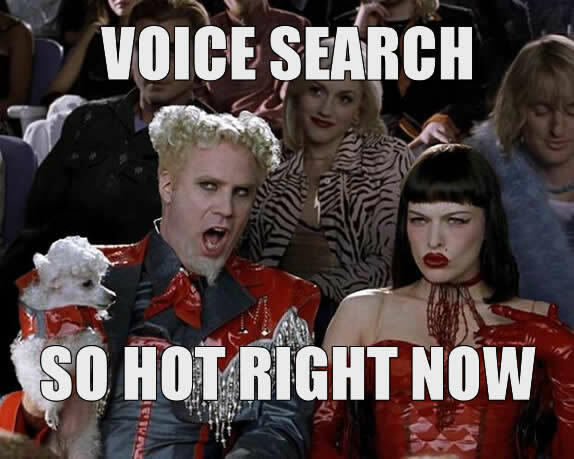 Even if voice search isn't the next big thing, it should still be a worthwhile pursuit for most brands looking for additional exposure and brand awareness. As marketers, we're always looking forward to what will be the next big thing, how we can take advantage of it and bring our brand, product or service closer to the consumer through these new mediums. I've touched on voice search in the past, but I've focused on it's broader application from information Google has already provided. You can catch up on these points in my previous posts Google Launches Voice Schema Support and 8 Ways To Optimise Your Content For Voice Search. Today I want to touch on an opportunity for businesses to engage with consumers, that has some real untapped potential. The tool is known as flash briefings, and it's been primarily driven by Amazon Echo/Alexa and Google home/Ok Google voice assistant devices. A Flash Briefing is accessed via a voice assistant and provides a quick overview of news and other content the user has previously specified. This can range from what is available, but it can be any kind of content from comedy, interviews, tips, lists and news. On the end users side a customer discovers and enables Flash Briefing skills in the Flash Briefing section under Settings in the Alexa app, or by searching for "flash briefing" in the Skills section of the app. Customers receive their Flash Briefing by asking their Alexa-enabled device things like, "Alexa, give me my Flash Briefing" or "Alexa, tell me the news". Alexa either reads text content or plays audio content that is provided by each enabled skill. Typically a Flash Briefing becomes a part of a customer's daily routine as they get ready for work or school, or wind down after their day. Similar to the Flash Briefing on Amazon's Alexa, Google Home has a feature called My Day. The feature that will read out to you the weather forecast, news, traffic, your reminders, calendar events and even upcoming flight status. To customize your My Day, open the Google Home app, tap the hamburger button in the top left to expand the menu and tap More settings. Scroll down and select My Day. There you can toggle the different summary segments and choose whether news plays or not. To play your My Day, just say, "OK Google, tell me about my day." Flash briefings aim's to do for podcasts and long-form audio what Twitter did for social media. It allowed users to quickly get high-level insights into topics they are interested in. It may seem silly now but don't be surprised if your Smartphone starts reading you custom bedtime stories with your favourite jokes, quotes, how' to series and or sports headlines. Never underestimate the consumer's willingness to do anything to replace the love an attention only a mother or father should provide. Why are flash briefings important? We all know the importance of content marketing in this day and age and having your presence on all mediums from blogging, video, podcasting and social media, this will simply become another alternative to your content creation and content marketing efforts. While most businesses will see this as a complete waste of time, the ones that do adopt it will be able to interact with consumers in a fresh new medium they are excited about exploring and you could gain access to these users for free or next to nothing when compared to the costs of other marketing channels which continue to become saturated each and every day. In addition, if Google and Amazon get behind a product, you can be sure it's going to scale pretty fast. Regardless of whether voice search is a hit or not, it will allow you access to customers looking for relevant content and making that connection with your brand top of mind is all you need to be concerned about.